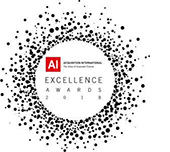 Tennant & Russell was awarded "Most Outstanding Strategic Planning Services Provider 2018 - Florida" by Acquisition International Magazine. 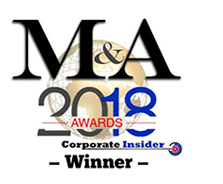 Tennant & Russell was awarded "Excellence in Strategic Planning Services - Florida" by M&A Insider 2018. Tennant & Russell was awarded "Excellence in Strategic Planning Services - Florida" by M&A Insider 2017. Tennant & Russell was awarded "Management Consulting Firm - Florida" by M&A Awards 2015 Corporate Livewire. Tennant & Russell was awarded "Strategic Planning Consultants of the Year 2014 - USA" by Acquisition International Magazine. "It would be tough to overstate how critical Jim was to getting this deal done. His experience, his advice, and his approach were all invaluable." "Jim is a focused professional that applies his executive experience to identify problems, assess the options and create opportunities. Jim works tirelessly to help his clients and provides an environment of collaboration that everyone feels like they have benefitted. Once Jim sets his mind to getting something accomplished, little can stand in his way to reach the goal." "I have known Jim for a number of years and have found him to be a very professional and charismatic individual with great integrity. He has an in depth knowledge of the industry and is always clear and direct in his approach to any business discussion." "To Whom It May Concern: It is without question that whoever engages into business with Tennant & Russell, LLC has selected a corporation that will surpass conventional expectations. Tennant & Russell has created and continually instilled a new confidence in decisions that have grown my company. In my strong opinion, the business world is a better place with them."